THE NATURAL SPLENDOR OF OLDFIELD PROVIDES FOR DAILY DISCOVERIES AND UNIQUE EXPERIENCES. The “Caution Fox Squirrel Crossing” signs found around Oldfield are a testament to Oldfield’s reverence for the land’s wildlife. 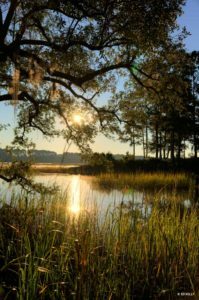 There are nearly 10 miles of nature trails through maritime and hardwood forests when you can see deer, an occasional bobcat or fox, great blue herons, egrets, woodpeckers, eagles nesting and a symphony of song birds. There is eye-catching signage throughout the system that the botanical names along with an example of the fruit or foliage in different seasons. They are a great educational tool about our environment, and so are our Naturalist-lead nature walks that take place the second Saturday of every month. Oldfield took on a new nature-based initiative recently, to be pro-active in forging the pollinator population. Our wildflower garden is the proud home of 4 bee hives and our first batches of honey became available for Oldfield residents this spring. Classes on the importance of bees and how honey is processed are currently being offered for kids and adults. Another garden on property, our community garden, has been re-vitalized with a new location at the Greeters Store. There are fall/winter and spring/summer harvests that are coordinated and managed as a partnership between our Nature staff and Member volunteers. Our Nature Center within the Outfitters Center offers an opportunity for a truly hands-on nature experience. Complete with saltwater and freshwater aquariums, visitors can interact, hold and feed some of the Center’s residents including a variety of snakes and turtles. Audubon International has awarded Oldfield a “Neighborhood for Nature” Award in recognition of its outstanding efforts to foster environmental awareness and stewardship through the Audubon International Green Neighborhoods Program. By joining and participating in the Green Neighborhoods Program, Oldfield is involved in projects that enhance habitat for wildlife and preserve natural resources for the benefit of the local community. 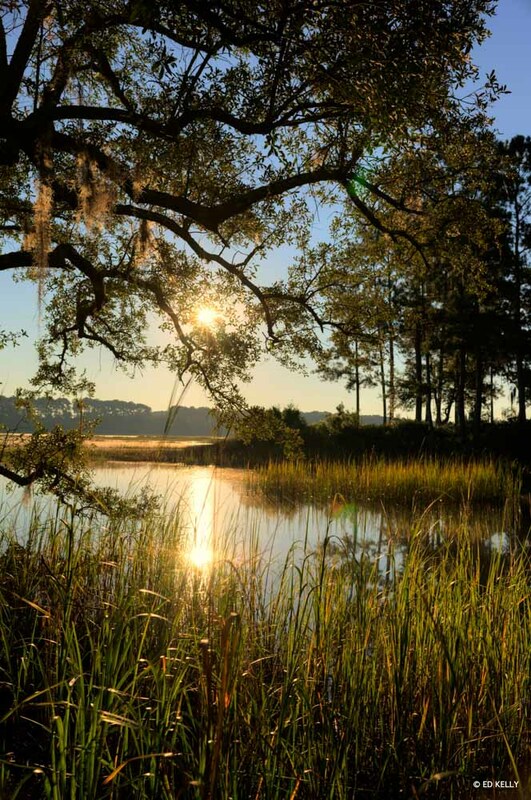 Oldfield has maintained that status through its continued stewardship efforts in areas including environment planning, wildlife and habitat management, chemical reduction and safety, water conservation, water quality management and education. The requirements are so stringent only 15 communities nationwide meet Audubon International’s parameters. Oldfield is one of only 8 communities nationwide to earn the Audubon Sustainable Community designation. “Being the Naturalist at Oldfield is truly a dream job. Every day’s a new experience. Not only do I get to spend time outdoors in these beautiful surroundings but I get the chance to work with our nature-loving Members. Our collective stewardship has allowed us to earn the designation of an “Audubon Sustainable Community”. One of only 8 nationwide!